Castaway is a 36" X 48" Oil painting by Gordon Meggison IV, that has been sold, so Prints are available as an option. (Select "Wall Preview" below for a room type, size and wall color to better view the art). 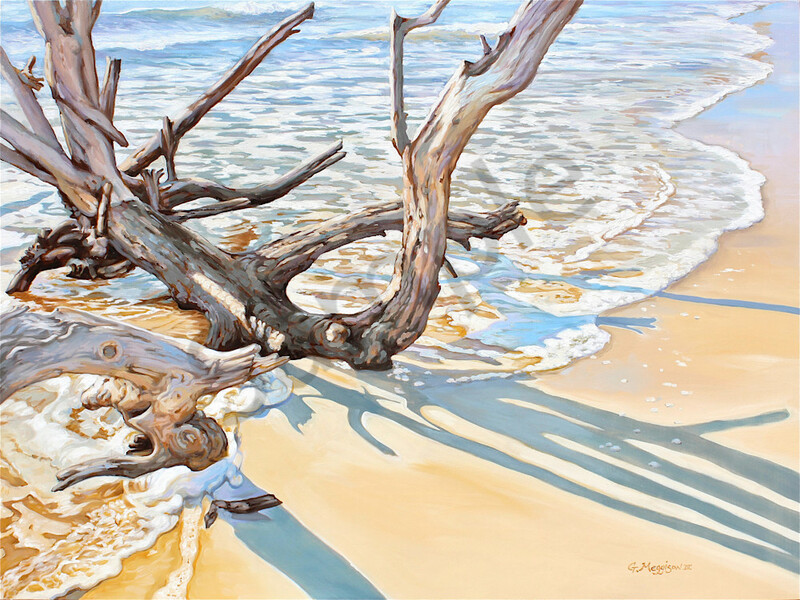 Castaway is a 36" X 48" Oil painting by Gordon Meggison IV One of my favorite haunts is at Talbot Island State Park, near Jacksonville. The north beach has a "boneyard" of old fallen trees that take on these interesting sculpted shapes. (Select "Wall Preview" below for a room type, size and wall color to better view the art).